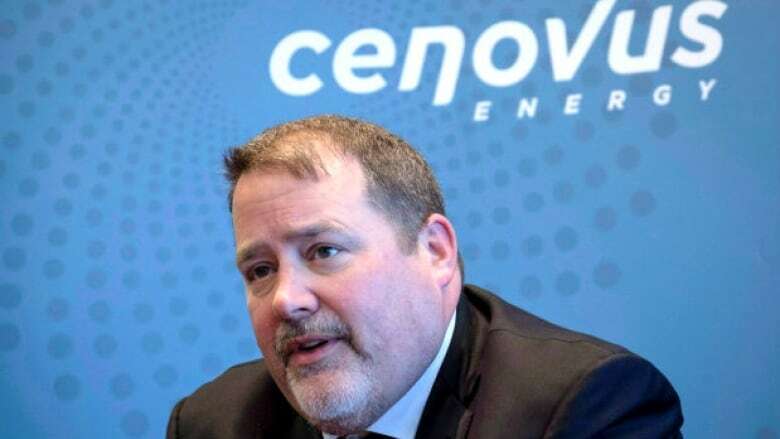 Cenovus Energy, one of the country's largest oilsands players, is calling on the Alberta government to implement "temporary" production cuts across the oil sector. One of the country's largest oilsands players, Cenovus Energy, is urging the Alberta government to implement "temporary" production cuts across the oil sector as Canadian crude prices continue to struggle. A shortage of pipeline capacity is contributing to a huge gap between the price for Canadian crude and the American benchmark, costing some companies and the provincial government dearly. Cenovus says the magnitude of the price gap is causing significant losses for many producers — and that the provincial government has the power to enforce output cuts and "alleviate the wide differentials." Earlier this month, the Calgary-based company said it would limit its oil output by an unspecified amount. "We think there is a strong case for the government to temporarily mandate reduced production for the industry," Cenovus said in an email statement to CBC News. "Our inability as a country to build critical new pipeline projects means we are now in a situation where we can't get our growing oil production to market. This has resulted in a market failure. "This market failure is the result of policy failures at the federal level that impacted pipeline projects, and in the short term it can only be fixed by the Government of Alberta through temporary mandatory industry-wide production cuts." Cenovus said the market can't fix a problem that is "inherently political." The company pointed to legislation used by the Alberta government nearly 40 years ago that curtailed oil production. In 1980, Premier Peter Lougheed enforced output cuts during a dispute with Ottawa over the National Energy Program. "Legislation exists, and has been used previously by the Lougheed government, to require all producers to temporarily cut production to alleviate the wide differentials," said the Cenovus statement. "Government has a duty to protect the value of its oil resources on behalf of Albertans." 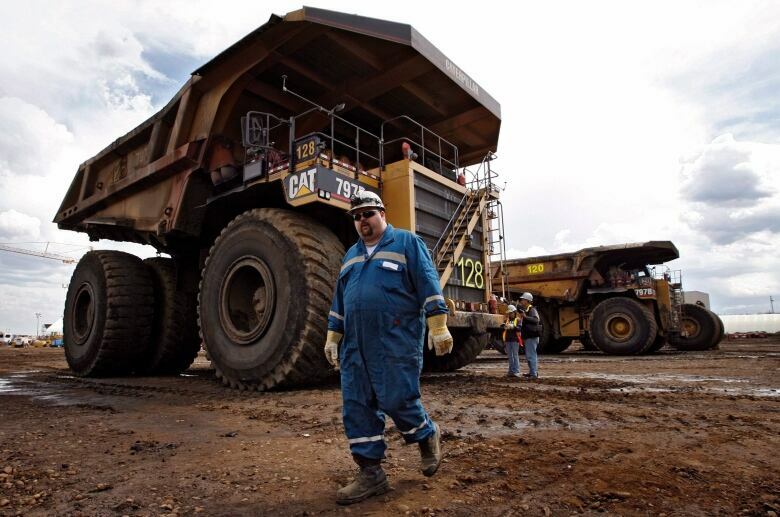 Peters & Co., an energy-focused investment bank, recently estimated that if the price gap remains at around $40 a barrel for 2019, it would cost the Alberta government about $5 billion in oilsands royalties for the year. According to Peters & Co.'s report, the situation could result in substantial revenue loss for the government. Its estimate does not include the impact on conventional oil or condensate royalty revenues, which are also affected by wide differentials. Nor does it factor in the impact of a slow-down in economic activity. "The Alberta Government has a lot at stake with the wide differentials, and should be motivated to improve the situation in the near-term," said the report from Nov. 9. 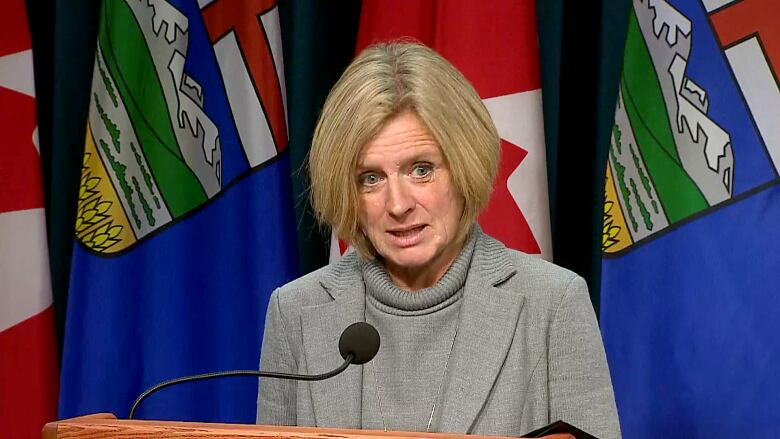 Last month, Premier Rachel Notley called on the federal government to buy more rail cars to transport Alberta oil. "The oil price differential right now is absurd, and exactly why Premier Rachel Notley is fighting to build new pipelines and pushing Ottawa to step up and help fix the backlog in rail shipments," said Mike McKinnon, spokesman for the province's minister of energy, said in an email statement. "We continue to engage industry leaders on a number of different approaches and look forward to having more to say soon." Martin Pelletier, portfolio manager at TriVest Wealth Counsel in Calgary, said "desperate times call for desperate measures," but he would rather see industry come up with a solution than the government impose one. Where the province could play an important role, is in getting oil executives in a room and helping mediate an industry-led agreement, Pelletier said. "It has to start with industry," he said. However, he said he was not surprised to hear Cenovus' suggestion because "we have to get the conversation going" about solutions to a "made-in-Canada" energy crisis. Warren Mabee, director of Queen's Institute for Energy and Environmental Policy, said it would be hard to get companies to agree to cuts, given competing interests and agendas. Large integrated companies, like Suncor, would not be affected like companies without refineries or other options for their oil productions, he said. "I think it'd be very difficult to come up with an agreement," Mabee said. "It's a tough thing unless everybody really does come on board with it." Mabee also thinks governments — federal or provincial — would be reluctant to get involved in mandating cuts. "To put a mandate into place means that you're actually playing with the market, and if you're playing with the market as a government then you're opening you're opening yourself up on the trade front," Mabee said. "Given that our trade with the U.S. is a little fraught right now... I just can't see government wanting to do it​." Cenovus is not the only company to announce that it would limit its own oil output. Earlier this month, Canadian Natural Resources said it has already cut production by up to 15,000 barrels per day and could increase that figure to as much as 55,000 this month and in December. Canadian prices crashed in September because of a backlog of oil in Alberta. The Fort McMurray region has increased production throughout this year, but export pipelines are full and several refineries in the U.S. which process heavy oil from Alberta, shut down for maintenance. Some industry experts now expect low prices for Canadian heavy crude could persist into 2020. 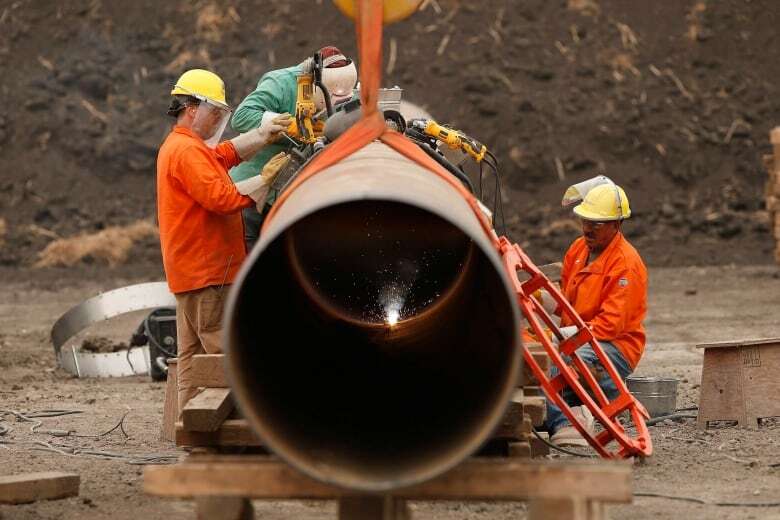 More export pipeline space is expected once Enbridge's Line 3 replacement project is complete in about 12 months.